We humbly welcome in Rev. Lonnie Hilton to Living Word! Since 1994, Lonnie Hilton has been the Vice President and U.S. National Director of Faith Christian Fellowship International. Lonnie has been married for 38 years to Linda, who travels and ministers with him. They have two married children and two grandchildren. He was raised on a farm in Illinois, has served in the Armed Services, and has owned a small business. 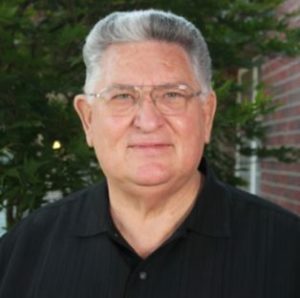 Lonnie was raised in a mainline denominational church and became part of the charismatic movement in the ‘70’s when he received the Baptism of the Holy Spirit. He has served in almost every area of helps and the pastorate, operating in both areas of ministry with great success. Lonnie Hilton is a man called of God to assist other ministers and the flocks they serve. He flows in an Apostolic-Prophetic anointing to establish and release the Lord’s people/leaders into their callings and giftings. Lonnie teaches a practical Word in season and flows in the Word of Wisdom and Knowledge. He is full of joy and Godly wisdom and is a blessing to FCF ministers and churches around the world. Eager to serve, he loves to make people feel wanted, and has a talent for encouraging and lifting others up.